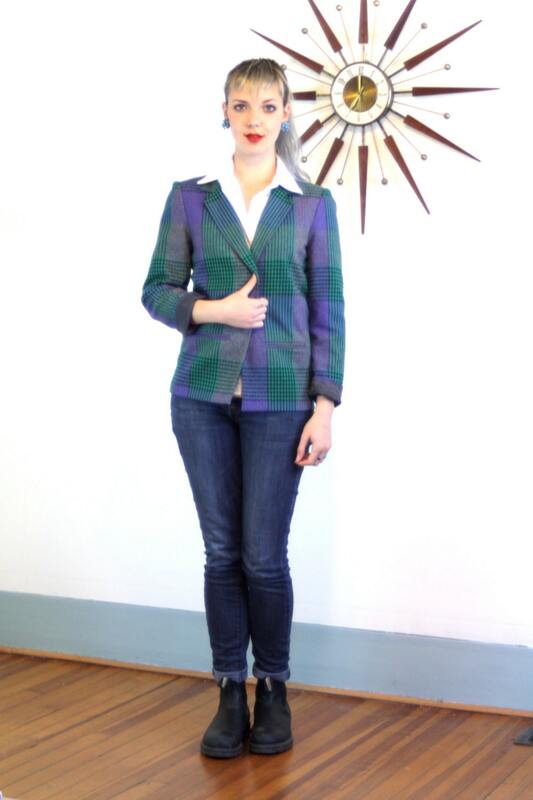 This is such a cute 1980s blazer! 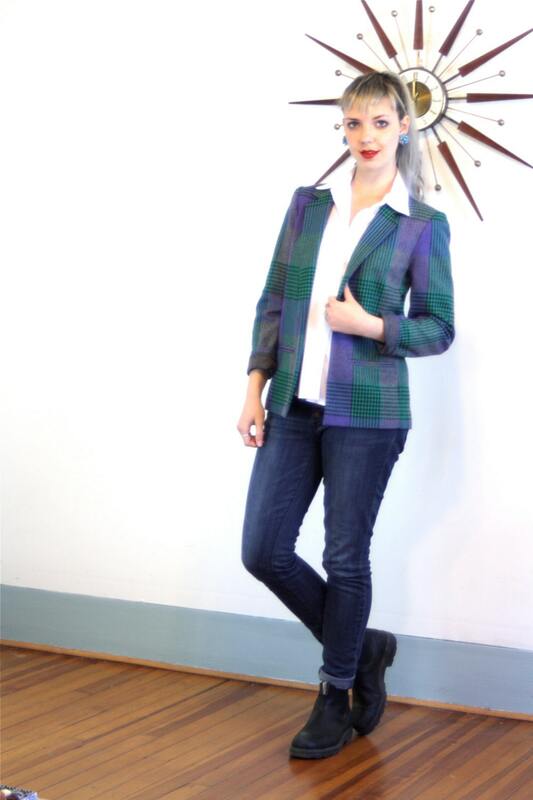 This vintage women's jacket has a preppy style with totally 80s colors! 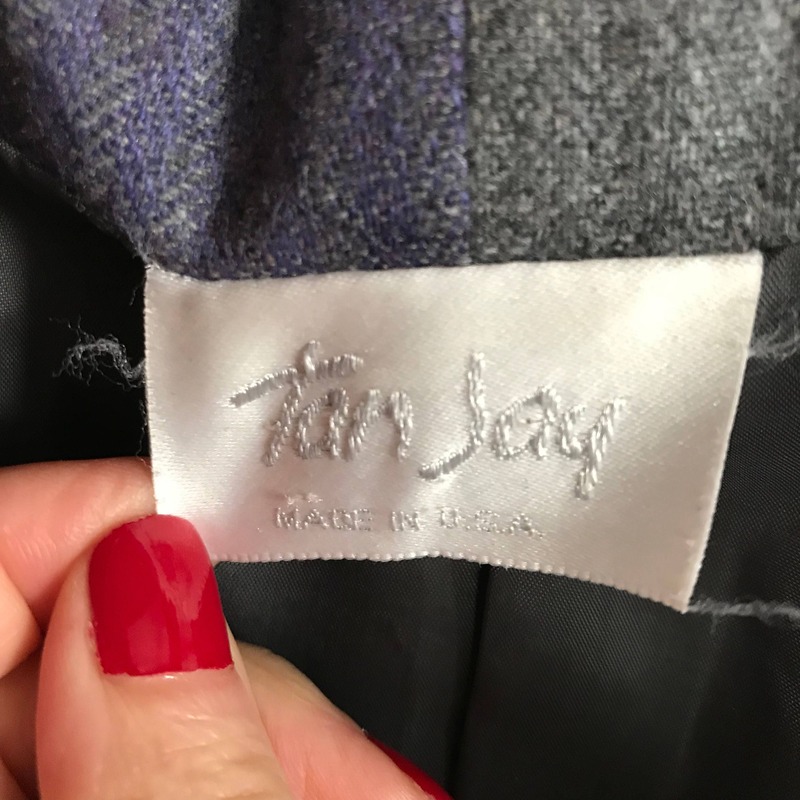 This rad ladie's blazer is made by TAN JAY. 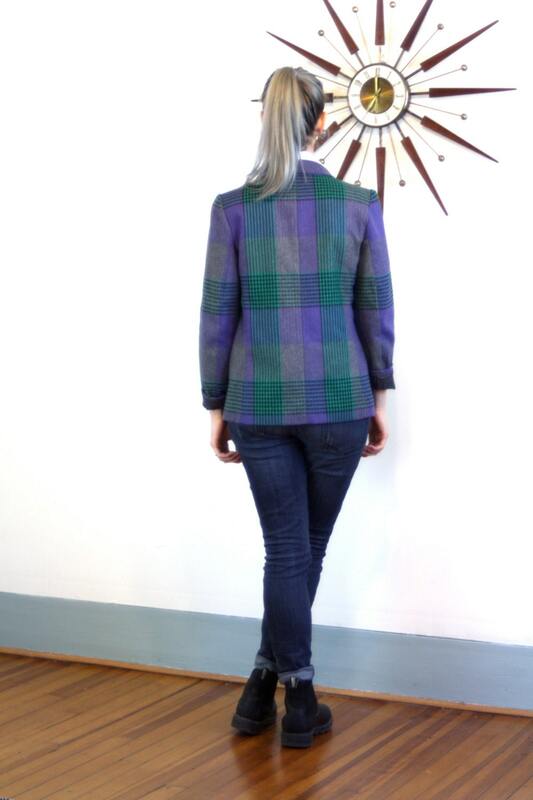 The wool has a beautiful plaid pattern in purple, teal green, black, and periwinkle blue. 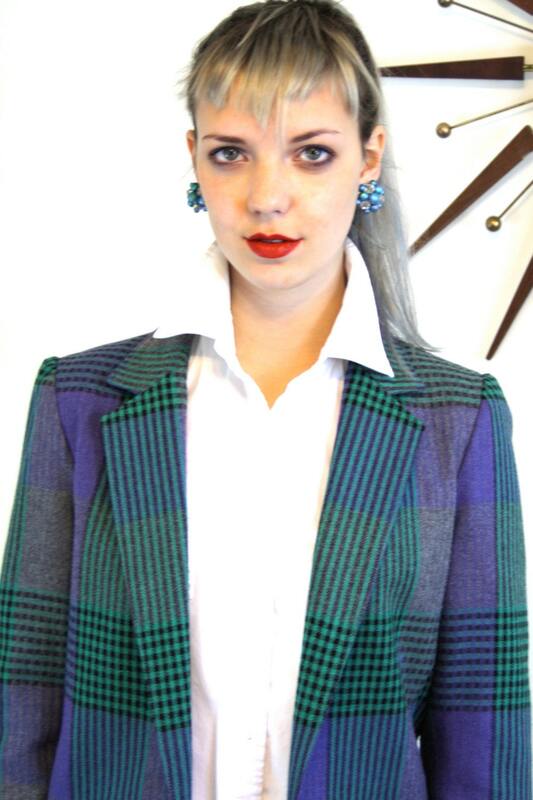 Cool, boxy boyfriend cut, with big shoulder pads for that totally 80s, New Wave look! Material: 100% Wool shell, Polyester lining, no buttons or closures. CONDITION: Excellent. The pockets are still stitched closed!